Let me just start out by saying I fully understand that this post will not be for everyone. 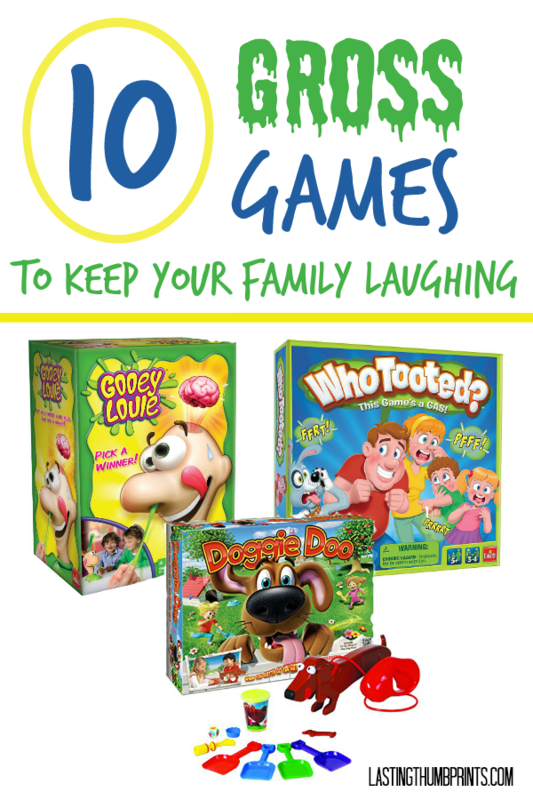 If talk about boogers, toots, or burps bothers you, then gross family games are probably not going to be your thing. However, if these kinds of topics crack you or your kids up then read on for some amazingly gross but hilarious fun! Most children find toots to be a laughing matter. It’s true for my children and it certainly was true when I was growing up. Our Mad Libs entries always had a few gross answers like fingernails, dog poo, and toots. My brothers, sisters, and I even turned a chicken nugget toy from a Happy Meal into a disgusting game called Booger. I have fond memories of chasing each other around outside trying to tag each other with the “booger”. What can I say? Gross family games were kind of our thing. Like my mom, I do limit potty humor in our home, but a few mildly inappropriate laughs are allowed. If it goes overboard, the family rule is that you have to clean the toilets in the house. This definitely helps keep things in check. There are loads of family games on the market and plenty bring in the gross factor. With this in mind, I’ve put together a list of my top ten picks for gross family games for anyone looking for a few mildly inappropriate giggles. You may just end up with the best family night ever! I’ve included my Amazon affiliate links so you can learn more about the games if you’d like. If you use my links to make a purchase it doesn’t cost you anything extra, but I will receive a small percentage of the purchase for my referral. Jelly Belly developed a real winner with this game. We love their delicious jelly bean flavors, but in this game each flavor has a not so enticing twin. You could end up with stinky socks, dog food, baby wipes, or something else equally as gross. We have some wonderful videos of our kids playing this game. The one time you’ll give permission to your family to pick a nose! 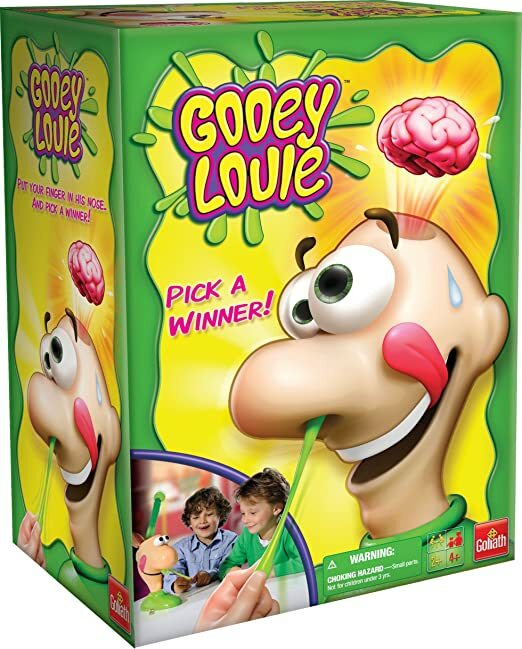 Put your finger up Gooey Louie’s nose and try to pick a gooey winner. Be careful, if you pick the wrong one, Louie’s eyes will pop out, he’ll flip his lid, and his brain will fly out. Learning science has never been so fun! Your family will laugh answering silly questions and taking on the gross out challenges. Questions cover biology, chemistry, geology, astronomy, zoology, anatomy, and physics. Here’s a fun twist on hot potato! 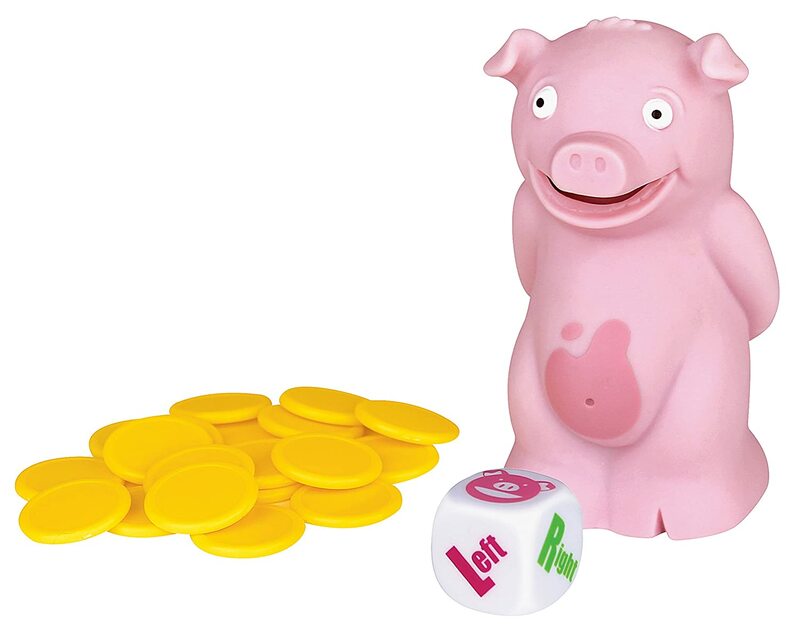 Pass the stinky pig before he toots and you have to take a token. Player with the least amount of tokens at the end wins. 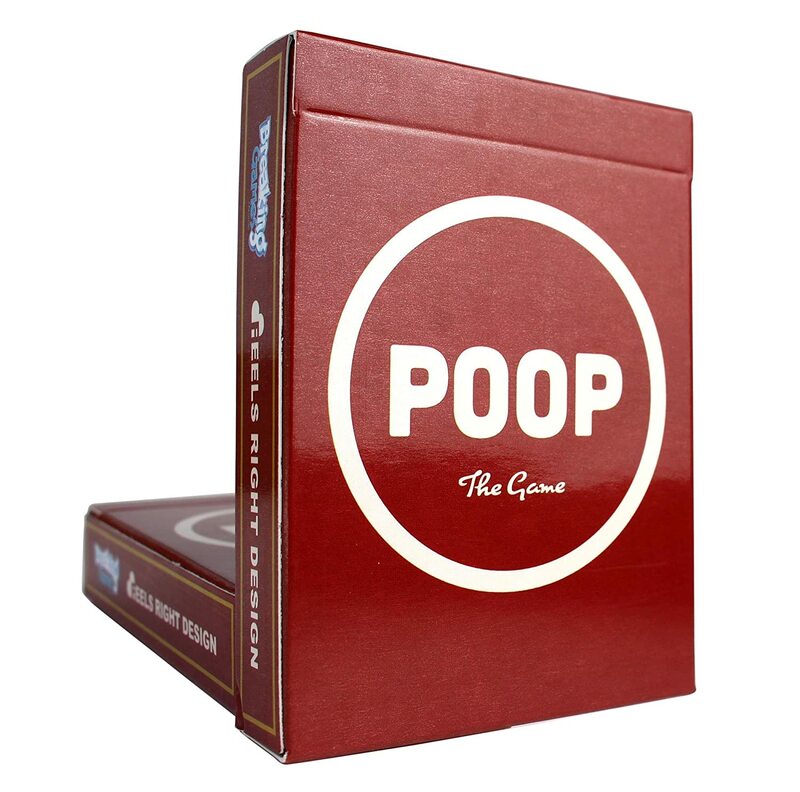 This card game is similar to UNO, but adds in potty humor. Take turns “pooping” in the toilet, but don’t clog the toilet! 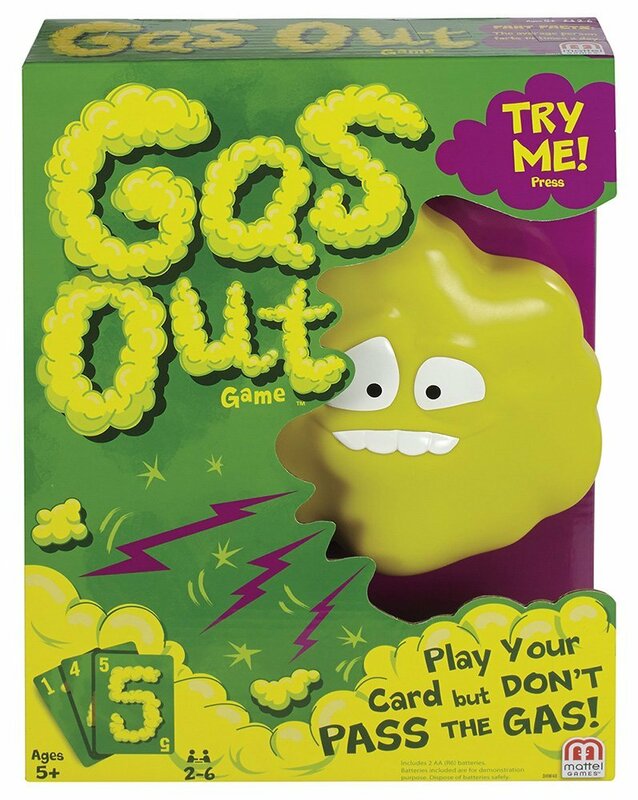 Guster the Gas Cloud isn’t just passing out cards in this game. Play your cards and hope that Gus doesn’t pass wind on your turn. This easy to play game may just teach your kiddos a little about responsibility while having fun. 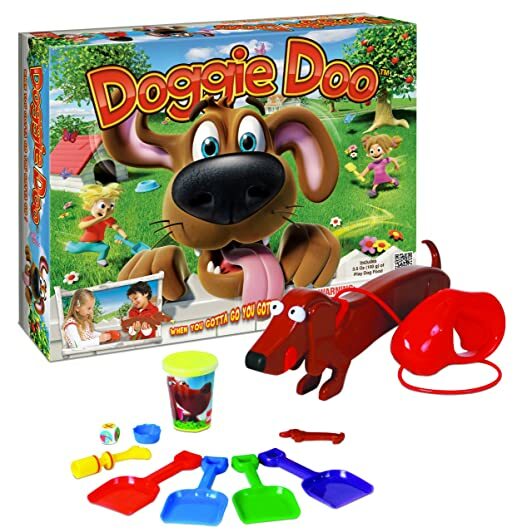 The first player to clean up after the dog three times wins in this game. 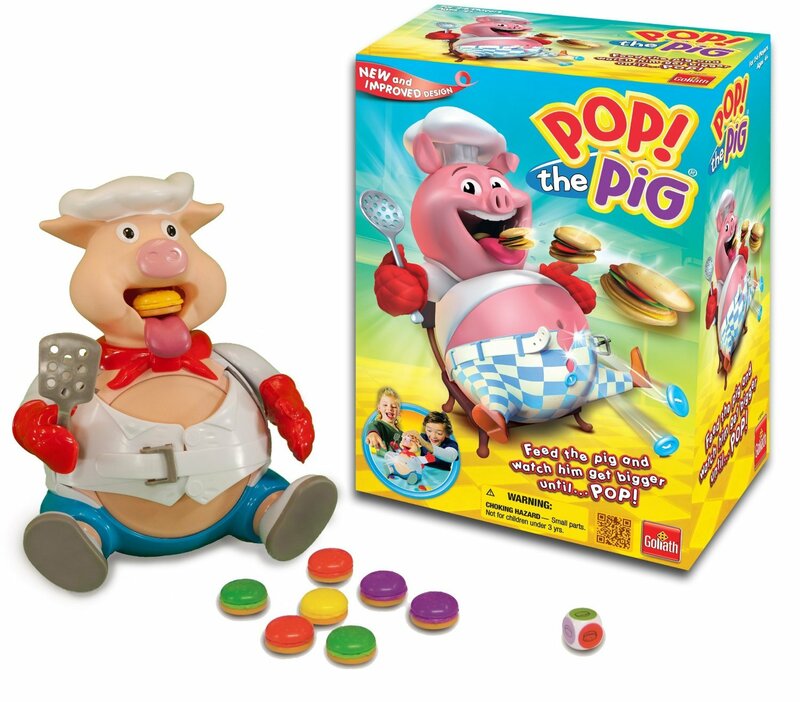 Keep feeding the pig hamburgers until his belly bursts in this best selling game. Kids love the suspense as they watch the pig’s belly grow! Who knows what you’ll feel in Ned’s large noggin! 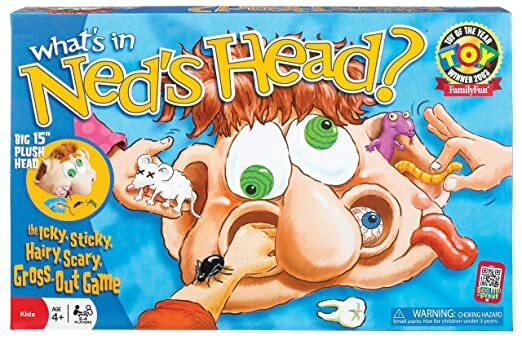 In What’s In Ned’s Head?, each player is dealt a card with a picture of an object that’s in Ned’s Head that they must pull out. There’s all sorts of gross fun going on in this game! Can you keep a straight face while playing Who Tooted? 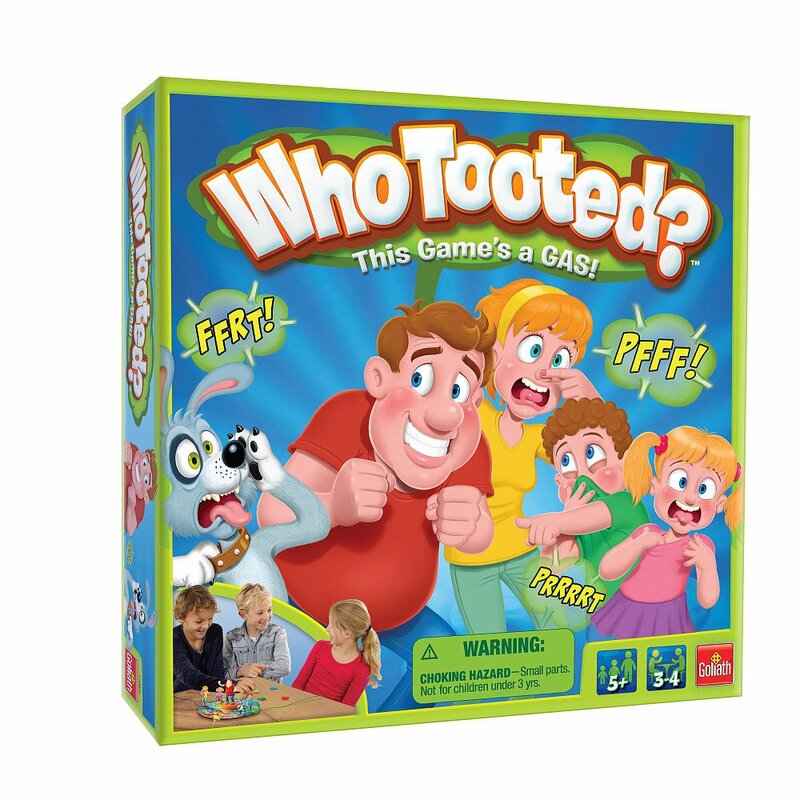 You’ll have to try if you don’t want the other players to guess that you’re the one who tooted. This game is sure to be the cause of many giggles! And can I just say that I’m rather fond of the whoopie cushion shaped controllers. Oh the fun you can have with these! 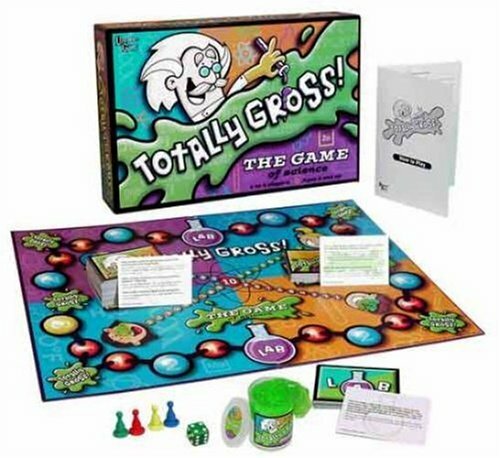 Do you have a favorite gross family game? Tell me about it in the comments. And if you’re looking, you can find more family fun ideas here! Gooey Louie is a classic! 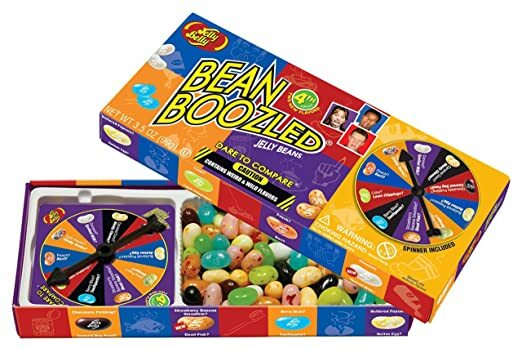 And please be warned that the “gross beans” in Bean Boozled are really, really bad. At least some of them are, like the rotten cheese one. Beware! !